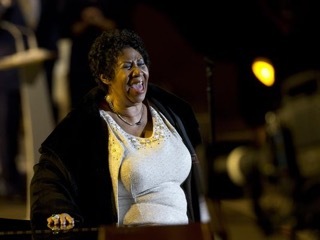 I was alerted to a news story out of Detroit where legendary singer Aretha Franklin is being sued for her failure to pay more than $11,563 to the Hills of Lone Pine Association. Interesting quotes from Ms. Franklin: “It is my property. I don’t live there and feel I have (been) overcharged for years,” Franklin said. “My attorney has been discussing this with them. And I have paid what I felt was credible and legitimate.” She has been “overcharged for years.” She has paid what she “felt was credible and legitimate.” Seriously?! She sounds like many of the delinquent owners we have had to deal with over the years. This story proves that no one, not even legendary soul singer Aretha Franklin, is immune from assessment collection. Be sure to go to alslien.com for information on assessment collection in California and the services offered by Association Lien Services.